A talk I gave at Loyola University on the history of the music business is now available online here. It's about an hour long and is a distillation of a number of things I've talked about over the last few years. 2010 continued the record industry's trend of jamming out reissues, remasters, and deluxe editions. Selling updated versions of existing products is a marketing trick nearly as old as commerce itself. Clearly, it is working for the music business. Cynicism aside, many of the first CD releases sounded terrible for a variety of reasons. In some cases, the wrong master tapes were used or the best master tapes couldn't be found. In other cases, the tape-to-digital transfers suffered from the (relatively) poor quality of the early analog-to-digital converters. Most of the top-shelf musical canon has already been reissued multiple times. So now the industry can turn its attention to albums more off the beaten path. Fewer sales but more devoted fans with high willingness to buy. The good news is that in many cases, the people working on the reissues do a fantastic job, unearthing rare or lost tracks, cleaning up audio, and producing nice packaging. The bad news is these reissues are often harmed by cut-rate packaging, sloppy audio remastering, a surfeit of tracks, and too-high price tags. Duran Duran were one of the first bands that made me hunt and search for tracks and inspired the largely lost art of locating the obscure. 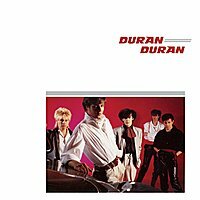 Duran Duran released all kinds of remixes, singles, and 12" maxis which were only available as imports. Their first album even swapped out one of the original tracks ("To The Shore") for a hot single ("Is There Something I Should Know?") when it was widely released in the USA. And many of those early tracks were great stuff - as good or better than what was on the record. This year, Duran Duran continued rolling out their reissues. The best was their first album. Sonically, it's not a substantial improvement. Some argue that it sounds worse than the original release. Of course, it includes all of the b-sides from the singles and 12" maxis, and the "Night Versions". This is less of a revelation since the previously-released "Singles" boxes put them all out there several years ago. What it does include, however, are some demo versions that are really interesting. The demos are simultaneously both more "rock" and more "disco" than the album versions. The early version of "Girls On Film" has an awkward cadence which would be dropped for the final release version. Mostly they sound like what they are - a live band composed largely of enthusiastic young men. Artwork and photography is pretty and comes in a nice box. Band loses huge points for not including lyrics, however, which they did even on the previous cheap-o standard release. Ultimately, this reissue serves to validate the quality of the band's early work and the freshness of their sound, without wearing out its welcome. Sometimes, reissues rekindle your love for an old favorite. And sometimes it's like having dinner with your ex-wife: too much, and you remember why you stopped listening in the first place. 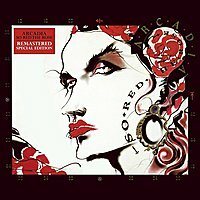 The reissue of Arcadia's "So Red The Rose" is fantastic. Seriously. It sounds great. It includes rare videos and specials. A whole second disc of bonus tracks including a whole single I'd never even heard before. The artwork is mostly an improvement, though the credits contain some typos and fail to reproduce the full artwork the way the initial CD release did. I also like this record a lot - in some ways, it's the best "Duran Duran" album made, even though technically it's not Duran Duran. But 2 CDs filled to the rim is a bit much. There are a number of remixes of the same tracks (single versions!) which aren't tremendously different from the album mixes - this is the sort of stuff that makes collectors happy, but makes most listeners reach for the "skip" button. Propaganda's "A Secret Wish" is also a study in obsession. Originally released in 1985, "A Secret Wish" was the first album by a new band signed to Trevor Horn's legendary Zang Tuum Tumb label (whose name, like his band "The Art of Noise", comes straight out of the Italian Futurist movement). The album is a masterpiece of orchestral synth pop. The new (at the time) Waldorf PPG synthesizer is mixed with sampled strings and the unusual voices of the singers to produce something dark, Teutonic, and Expressionistic. Their hand is tipped with "Dr. Mabuse", which also features a sly homage to musique concrete at the beginning. David Sylvian played guitar on the record, even. The band fell apart after this record, losing one of their female singers and most of their momentum. Their much-anticipated second album (featuring Derek Forbes, Simple Minds' amazing bass player) was not very good. And then they basically broke up. In 1985, I remember looking at the CD version, which I could not afford, and marveling at the technical information presented on the back, including the producer indicating which songs had digital clicks and "overs". Then I realized the mix durations were different from the vinyl album I had...were they different mixes? I never was able to find out. The CD version I bought many years later sounded just like the vinyl. 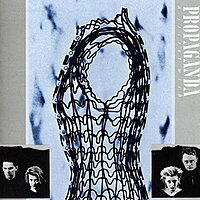 This year, Propaganda's masterpiece received the Deluxe treatment. Turns out the producer did a separate set of CD mixes after the "analog" mixes were done and sent off to the duplicator. These CD mixes are considered the definitive versions, and the original "analog" mixes are relegated to the end of disc 1. The CD mixes are surprising in a few details. They're not necessarily "better", per se, but they show how nuts the producer was going, clearly obsessed with the project and adding breakdowns, build-ups, crazy string sections, and so forth. The songs stretch out, taking their time through their intros. One is over 11 minutes long. I suppose it's fitting that music that has been so obsessed over by creators and fans deserves this kind of treatment. You get the definitive album - all 9 tracks, now with great sound. It's all anyone could ask for. But then there are the six analog mixes right after. Didn't I just hear this? And then there's also disc 2, which features all sorts of odds and ends, including "rare cassette-only promotional mixes". 11 tracks, which are nearly all remixes of the same 9 songs you just spent an hour with. Too much! Back on the shelf for now! 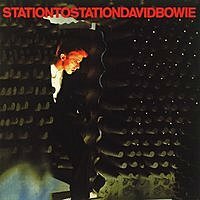 David Bowie "Station To Station [Super Deluxe Edition]"
Start by noting the original album "Station To Station" consists of 6 songs. It barely hits its 38-minute running time due to the long introduction on the title track. It is a classic of the rock canon and one of Bowie's better and more listenable records. The reissue costs more than $100. It consists of 5 discs: the original album, the 1985 remaster, 2 live CDs, and a disc of singles mixes. To clarify, you get the original mastering (too murky!) and a new master from the original tape (too tinny! ), a live concert spread across 2 discs, and a disc with slightly different mixes designed for radio. They throw in vinyl versions of the original album and live set. There's also a DVD with more than one set of high resolution and 5.1 mixes of the same 6 songs. Because that's not enough, they throw in a bunch of other junk, too: liner notes with "never before seen photos", a poster, replicas of backstage passes, concert tickets, fan club folders, membership cards, bio sheet, and some buttons. It's a great record, essential listening. But the rest of it is the definition of overkill. When this record came out, I listened to the vinyl and thought it sounded murky. It had the tired rock disclaimer "this music was meant to be played loud", which meant the band had mixed it too loud and due to the Fletcher-Munson curve, it was going to sound weird unless you actually played it back loud as well. 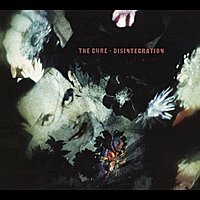 "Disintegration" is a really good record. It took me a while to realize this when it first came out, but seeing the band at Great Woods sealed the deal for me. If you only listen to one record by the Cure (as many recommend), this should be it. The "Deluxe Edition" throws in 2 more discs. One is the set of demos for the entire record. Like most Cure demos, these are relatively boring: they're rough versions of the album songs, sometimes instrumental, generally nearly identical to the final versions except not as nicely recorded. No real revelations here, nor anything even die-hard fans will revist. The other disc is a reissue of "Entreat" (called "Entreat Plus"), a live concert where the band performs the entirety of "Disintegration". The Cure are a great live band, and their live recordings tend to be quite solid. "Entreat Plus" doesn't disappoint, but like many of the reissues this year, by the time you've finished this disc you've heard the songs on the album 3 times. That's a bit much for anyone, and while The Cure play well, they do play the songs just like the album, so again, not much discovery here. The better sound makes it worth the price of admission, but try to track down the single-disc remaster! 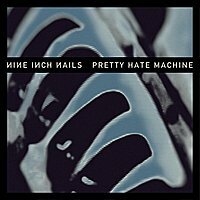 It's not fashionable to like Nine Inch Nails anymore, and if you do, it's not fashionable to like this record. The remaster, however, is rather exciting. It sounds great - arguably the biggest sonic improvement and best overall sounding record of the bunch. I couldn't find a playback system that didn't make this sound amazing. It's also become an interesting historical document. Some of the tracks on the album have not aged well, but the good stuff ("Head Like A Hole", "Terrible Lie") still sounds ahead of its time. The record sounds unusually drenched in reverb by today's standards. Otherwise its bracing digital textures sound even fresher today than they did back when it was released 20 years ago. It's easy to hear why this record was so influential for so many aspiring musicians. It's also very easy to hear Trent Reznor's influences - "Down In It" is clearly derivative of Skinny Puppy's "Dig It" (which Reznor freely admits), and much of the rest of the album pulls from various flavors of the near-industrial music of its time.